Can you speak to my class? My colleagues and I used to joke with one another. Any Public Diplomacy FSO should be able to talk on any aspect of the United States for 30 minutes followed by 20 minutes of Q&A. On one day’s notice. Were you a music major? Put together a talk on the electoral college. A political science major? You may need to wax eloquent about jazz. An international trade major? The topic will be noted American artists. And so on. Eventually, I prepared a one-size-fits-all presentation that I could give to any group. Since Public Diplomacy officers still receive short-notice requests, I now share it for the benefit of new generations of Public Diplomacy practitioners. To begin, I hand out a “quiz,” one sheet of paper with ten questions. Give the students five or ten minutes to “take the quiz” (no internet searches via cellphone allowed). Then talk through the answers. Most FSO’s look for any chance to talk about topics like human rights, trade negotiations, environmental cooperation, or regional security. You’ll see that this “quiz” doesn’t address foreign policy issues directly. Rather it yields a population portrait of the American people, introduces American higher education, and addresses American diversity. Yes, this “talking about America” session that begins with the “quiz” steers clear of what FSO’s like to call “substantive issues.” Rest assured, however, that students – and the educator and her academic colleagues — will ask about them during or after the class. As ever, these questions provide opportunities for FSO’s to add facts, perspectives, and context to local conversations about the United States. The Foreign Service Institute provides some useful guidance on answering these frequently heard questions, which are generally based on stereotypes, movies, and partial information. Other questions – about the President’s policies and “America First,” perhaps – may be even more pointed. Here, the advantages of beginning by taking and discussing the answers to the “quiz” become more evident. There should be an easier rapport between the FSO and the group, allowing a better dialog. Here are the ten questions. What is the population of the United States? What percentage of the population was born in the U.S.? What percentage of the population speaks English at home? Farmers and ranchers are what percentage of the U.S. population? 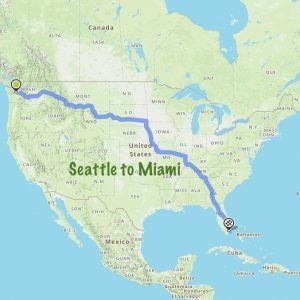 Driving eight hours per day at a speed of 60 miles per hour, how many days does it take to drive from Seattle to Miami? How many degree-granting four-year colleges and universities are there in the U.S.? Two-year community colleges? American students received 1,920,720 bachelor’s degrees in academic year 2015-2016. What percent were men? What percent were women? What are the most popular college/university majors in the U.S.? What percent of the U.S. federal budget was spent on defense last year? On the three major “entitlement spending” programs – Medicare, Medicaid, and Social Security? How many McDonald’s restaurants are there in the United States? Chinese restaurants? Japanese? Korean? Mexican and “Tex-Mex”? Depending on the audience, the officer might add some questions that open new areas for discussion. For instance, it would be easy to add “how large are your country’s exports to the U.S.?” and “How much does your country import from the U.S.?” These simple questions could spark a good conversation on trade, trade balances, trade deficits, tariffs, and non-tariff barriers. Here’s another question: “What is the first freedom mentioned in the first sentence of the Bill of Rights?” That could open a discussion of religion and religious liberty. Click here to download a formatted copy of the quiz handout For the answer key, click here. 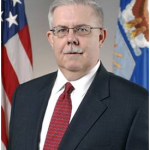 Donald M. Bishop is the Bren Chair of Strategic Communications in the Brute Krulak Center for Innovation and Creativity at Marine Corps University in Quantico, Virginia. Mr. Bishop served as a Foreign Service Officer – first in the U.S. Information Agency and then in the Department of State – for 31 years. What a wonderful approach to younger audiences abroad, and a great gift to current PD officers! Thank you, Don Bishop.